My readers know that I don’t read much in the way of speculative fiction, but I bought the eBook version of this one on impulse when I met the author Lyn C at the Indigenous Language Intensive workshop. I was curious… and at $4.31 AUD for the Kindle edition it was cheap enough to experiment with an unfamiliar genre. I started reading it over breakfast at QV Square before the workshop… and soon found myself totally hooked by the story. 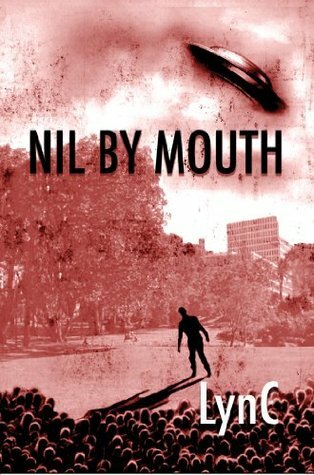 Nil by Mouth is what I recognise as classic SciFi. It has aliens who invade earth and they have various capabilities which enable them to exert control over the humans, but they have a fundamental flaw which enables the situation to be resolved. However, what makes this an interesting and satisfying book to read is the character development so I was not surprised to learn that it was shortlisted for the Aurealis Award Best Science Fiction Book in 2014. Like I said, no-one likes a collaborator, and as I walked down the street people looked darkly at me, and, on occasion, someone would spit on the pavement as I passed, but they didn’t dare touch me. They got to me in other ways like calling me ‘Alien lover’ or ‘Ale’ to my face, and doubling the price when they saw me coming. A month ago, these had been my friends and neighbours. I kept my mouth shut, my eyes lowered, and paid what I was asked to pay. For Ale, collaboration is a matter of bowing to the inevitable while also having an opportunity to surreptitiously help the hundreds of refugees streaming out of Melbourne. But while of course his initial reaction to events is justifiable fear of the pain the aliens can inflict and the slaughter he has witnessed, he comes to form an alliance with Dranders against the General and his soldiers, and eventually realises that the three types of aliens are in conflict with each other. “… what could I do? I could hardly stop what was happening. Us humans were conducting a guerrilla war against the invaders, and it was their job to stop us. How did what the [General] was doing differ from what I had done when I had annihilated a thousand hatchlings? (BTW the use of square parentheses is a clever way of denoting the words that Ale is translating from the language that the aliens speak). The sci-fi elements of this novella are ratcheted up a bit when Ale himself is used as an incubator, and the Ship People also have a novel way of conveniently curing wounds. But the world created is credible enough, and I liked the notion that aliens might be much like humans with a potential for both great brutality and for compassion, honesty and love. Purchased from Amazon for the Kindle. Visit Lyn’s website for details of availability. I like the sound of this one and I’m looking forward to more ANZLL SF! I don’t read this kind of book either and with so many other things calling to me, will probably not get to this. But its a good wake up call for me that I shouldn’t be too prescriptive and that occasionally its good to try something totally different. Crime fiction didn’t interest me until I started reading novels set in Melbourne and Victoria (that is, places I knew well). Hearing that this book is set in Melbourne is similarly tempting. Yeah, I get that. Shane Maloney=Melbourne, right? I don’t read a lot of sci-fi, either, but this sounds like fun! Ah yes, I’d agree with you re this being classic sci-fi. I wonder if Lyn C has gone on to write more? Goodreads says only Nil by Mouth but she also has something in an anthology. We sat next to each other at the workshop and I was impressed by how she wanted to respect Prior Ownership in her writing, so I hope she writes more.